In Brief: TimeOut Beijing magazine was putting together an article about 'offbeat, bizarre, or lesser-heard facts about the city'—we told them about camel danger and a spot where you can see Beijing from the Great Wall. TimeOut Beijing magazine was putting together an article about 'offbeat, bizarre, or lesser-heard facts about the city' and asked us if we had any interesting facts or stories. They picked out two of our suggestions to include: a story of camel danger near Beijing, and a spot where you can see the city from up on the Great Wall. Read the article on TimeOut website here, complete with awesome cartoon illustrations. And here's the photographic evidence. 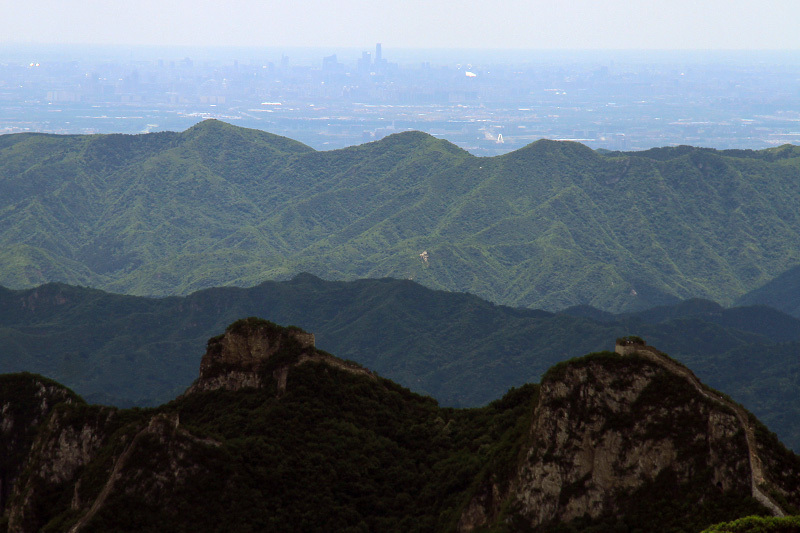 From Nine-Eyes Tower you can see all the way to Beijing's CBD, with the southern end of the Jiankou Great Wall in the foreground. Click the photo for a larger version. This was from our Ancient Horse Hoofprints hike, just west of Beijing. 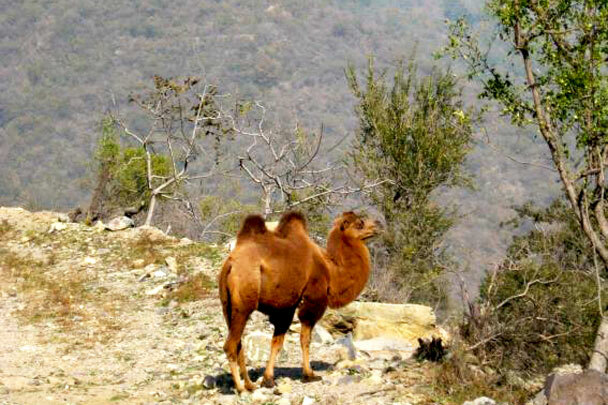 We were hiking down from the hills and passing an abandoned hotel, when a camel appeared from nowhere and rushed us. No idea what the camel was doing there. There were yaks lurking nearby as well. 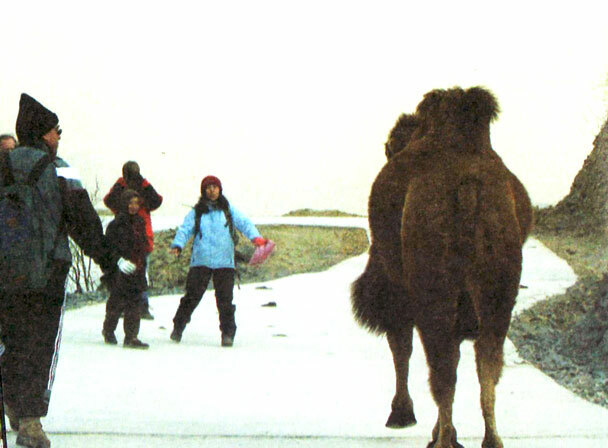 This photo was in the 2010 edition of our hiking book, subtitled ‘Beijing Hikers commander-in-chief Sun Huijie confronts a camel’.